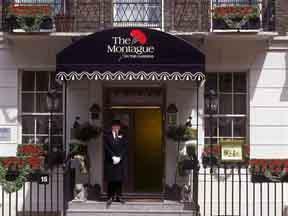 Hotels, Guest houses and bed & breakfast in around near Bloomsbury London all with real-time, confirmed online reservations. 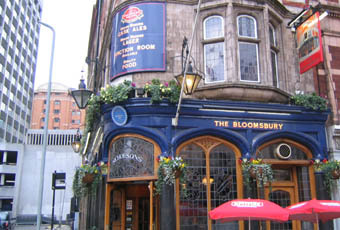 Bloomsbury is an area of central London, in the London Borough of Camden. 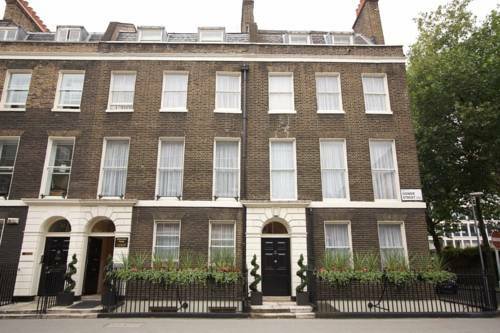 Bloomsbury gets its name from its medieval landowners, the Blemunds, though nothing was built here until the 1660s. Through marriage, the Russell family (the earls and later dukes of Bedford) acquired much of the area, and established the many formal, bourgeois squares which are the main distinguishing feature of Bloomsbury today. The Russells named the grid-plan streets after their various titles and estates, and kept the pubs and shops to a minimum to maintain the tone of the neighbourhood. The area contains some of London's finest parks and buildings, and is particularly known for its formal squares. These include the large and orderly Russell Square, with its gardens originally designed by Humphry Repton, the smaller unusual round Bedford Square (built between 1775 and 1783), Bloomsbury Square, dominated by the grand Victoria House, Queen Square, home to many hospitals, Gordon Square, Woburn Square and Torrington Square, which are home to parts of University College London. Tavistock Square, home to the British Medical Association. In the twentieth century, Bloomsbury acquired a reputation as the city's most learned quarter, dominated by the dual institutions of the British Museum and London University , and home to many of London's chief book publishers, but perhaps best known for its literary inhabitants. Today, the British Museum is clearly the star attraction, but temple and the law courts there are other sights, such as the Dickens House Museum , that are high on many people's itineraries. In its northern fringes, the character of the area changes dramatically, becoming steadily more seedy as you near the two big main-line train stations of Euston and King's Cross , where cheap B&Bs and run-down council estates provide fertile territory for prostitutes and drug dealers, and an unlikely location for the new British Library . For those visiting, Bloomsbury is served by numerous tube stations: Euston, Euston Square, Goodge Street, Warren Street, Tottenham Court Road, Russell Square and King's Cross St. Pancras. The mainline rail stations Euston, King's Cross and St. Pancras are all located on the northern edge of Bloomsbury. It is also home to the disused British Museum tube station. 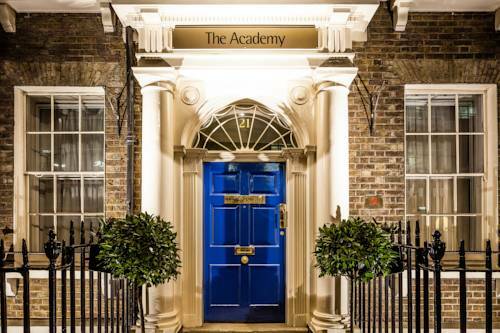 Free Wi-Fi is provided in all rooms at The Academy, as well as a private bathroom, air conditioning and satellite TV. An iPod docking station and tea/coffee making facilities are also included. 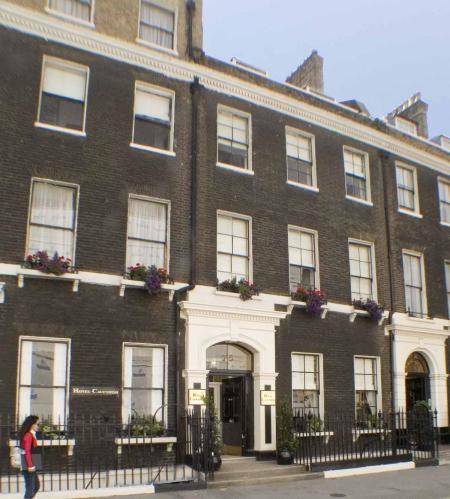 Tottenham Court Road, Goodge Street and Euston Square Tube stations are a few minutes' walk from Regency House Hotel. 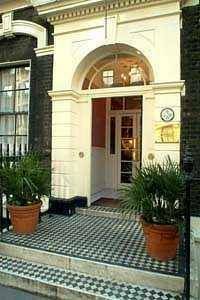 Guests can use both Central and Northern Line to visit London's famous attractions. The British Museum is half a mile from the building. Rooms at Hotel Cavendish are modern and provide a ceiling fan, tea and coffee making facilities and cable / satellite channels. All individual bathrooms offer a hair dryer, a shower and complimentary toiletries. In the summer period, guests are able to unwind in the back garden of the hotel. 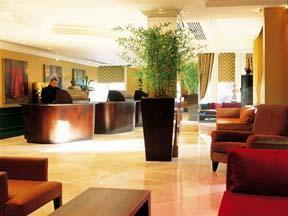 Guests can enjoy a continental breakfast buffet and a full English breakfast in the morning. This non-smoking hotel offers a range of facilities, including family rooms, luggage storage and an express check-in and check-out feature. It also features wireless internet, a garden and a safe. Every morning, travellers can wake up to a satisfying breakfast provided by Gower House Hotel London before heading off to see what the surrounding area has to offer. There is also the added advantage of an on-site restaurant. London's attractions, including Central Saint Giles and the British Museum, are within easy walking distance of the hotel. Centre Point and the British Library are each within a 20-minute walk. 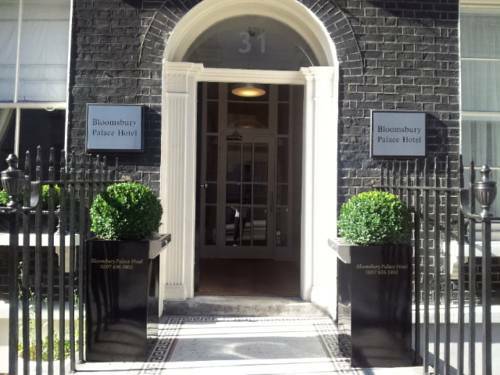 The rooms at Bloomsbury Palace Hotel include tea and coffee making facilities, a private bathroom and complimentary toiletries. A telephone and heating can be found in each. 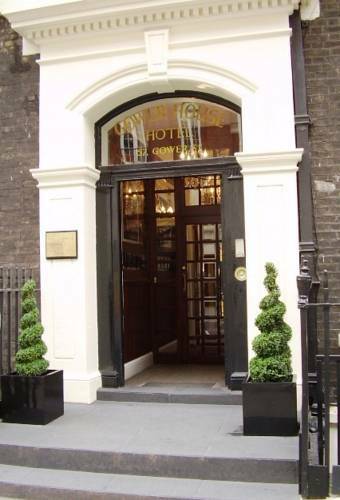 The Kingsley a Thistle Hotel is just a short walk from Convent Garden, the many delights of London lie on the doorstep: the excitement of Piccadily's Theatreland, world-class shopping down Oxford Street, an invigorating stroll through Hyde Park, the British Museum and other renowned attractions. 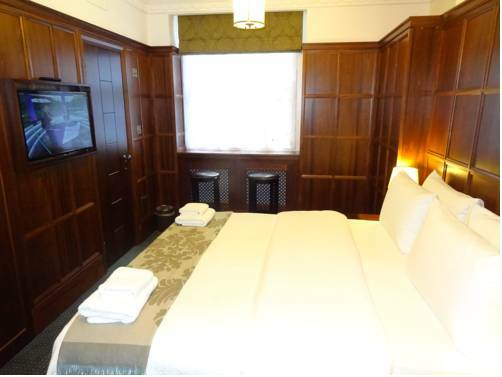 Endless possibilities await guests of The Kingsley a Thistle Hotel. No request is too large, no detail too small. 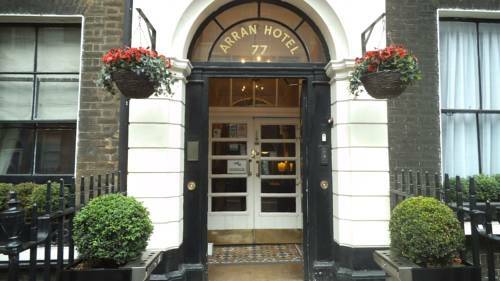 Close to Covent Garden, Walk to West End theatres and famous sights this hotel is your home from home. 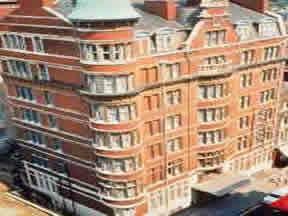 Situated in a prime location in Bloomsbury, 50 meters from the British Museum is the delightful Radisson Edwardian Kenilworth Hotel. 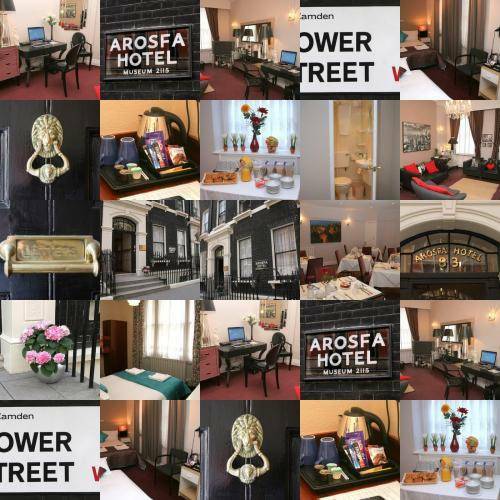 A luxurious central London hotel where the mood is welcoming and calming, suffused with rich colours and decorated with fine artwork and designer furniture.